Firefighters are one of the bravest people on earth, they go through intensive training and take extreme risks just to save the people in danger around us. Luckily, us Pinoys are not that familiar with forest wildfires but if you have been watching the news recently, then you know that there is currently a wildfire wreaking havoc in California. It is easy to dismiss the power of a small fire but a wildfire can go downhill very fast. In "Only the Brave", a team of highly trained firemen gets tested in the fire of their lives and in turn become true heroes in the process. “Only the Brave” tells the real-life heroic story of the Granite Mountain Hotshot firefighters, a unit of local firefighters who are dubbed as the “SEAL team six of firefighters”. Through hope, determination, sacrifice, and the drive to protect families, communities, and their country, they became one of the most elite firefighting teams in the United States. 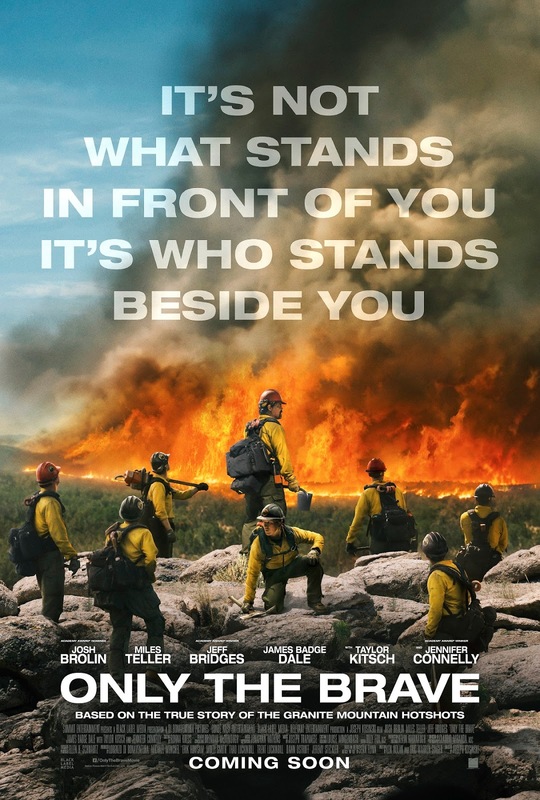 Starring award-winning actor Josh Brolin, Miles Teller, Jeff Bridges and Jennifer Connelly, the film promises to be riveting, emotional and tells the story of the bravest people from the sixth deadliest fire in American history. Taylor Kitsch, James Badge Dale, Scott Haze, Alex Russell, Geoff Stults and Ben Hardy round out the supporting cast. "Only the Brave" hits Philippine theaters tomorrow, October 18, and is distributed by Pioneer Films.